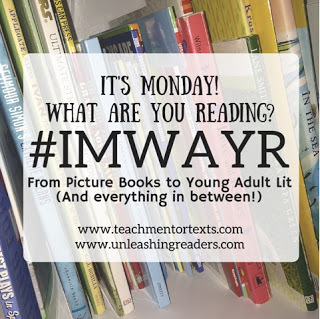 #IMWAYR time again, when readers share what they have been reading and find out what others have been up to in the past week. The adult version of this meme is hosted by Kathryn at Book Date. The kidlit rendition is hosted by Jen at Teach Mentor Texts and Kellee and Ricki at Unleashing Readers. Whatever you are looking forward to in your next great read, these are fabulous places to start your search. I read less this week because I've been very busy sewing. I managed to finish up the second phase of the quilt I have been working on. 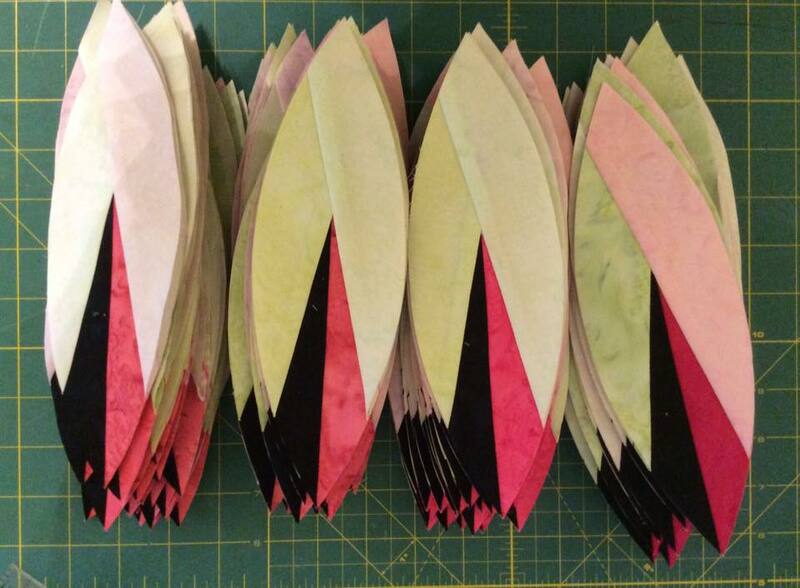 These 144 pieces translate into 576 seams and 576 cuts. I'm not thinking about how many still to go just to finish the next phase. This beautiful, award winning picture book is not for children. It's the haunting story of a young girl whose mother is one of Canada's missing and murdered women. François Thisdale's illustrations are spectacular. I would use this with older students and especially adults who work with indigenous youth. This is such a lovely book about what makes a dog (or anything or anyone) perfect. It isn't about what is on the outside. It is all about whether the parts work and do what they should. I was in love with this book as soon as I read this section on the body: "There was an odd, tubby, stubby body that didn't fit any other dog. They used that, and covered it with leftover wiry, scruffy fur. It's a comfortable body, perfect for cuddling." Ashly Spires illustrations (always stunning) show that the body has met all the important criteria. This is my second read of this book. I decided to give it another star. It's Ashley Spires. Need I say more? Poor Andrew loved theatre so he joined drama club. Then in order to improve at drama he joined the debate club, the chess club, karate and dance class. Before he knew it, Andrew had too many extra curricular activities, and was good at none of them. This is an important book for parents to read to remind them that it's most important for children to have unstructured play time with their peers. I have a lot of conflicted feelings about this coming of age title. I appreciated reading about places I've been to and know. On the other hand, it took me a very long time to connect to the main character, and I never did come to really care for her. I'm also not sure that a novel about missing and murdered women can be construed as anything but YA fiction. I wouldn't hand it off to anyone under 12 to read. I'm such a fan of this series. When I need to read for a break from real life, Marissa Meyer is one of my go to authors. 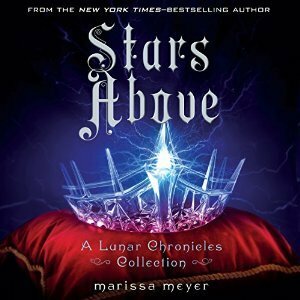 I enjoyed listening to these back stories of the characters in the Lunar Chronicles this week while I was sewing up a storm . Fans of survival stories will probably love this one. Chris, his Uncle Jack, and a boy named Frank, set off to sail down the Alaskan coast into BC. Their boat capsizes and only Chris and Frank make it to the mainland. The two boys have to get over there antipathy for each other in order to survive. 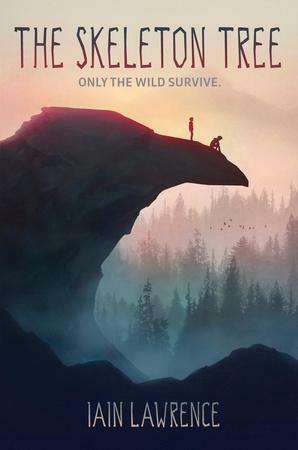 In the midst of taming ravens, fishing for salmon and escaping from grizzly bears, the two boys discover they have much more in common than imaginable. When I get into a series, it's because of the characters. Sure the writing is good, but it's that writing that creates these individuals that my brain comes to think of as real. A new book is like a visit with an old friend. 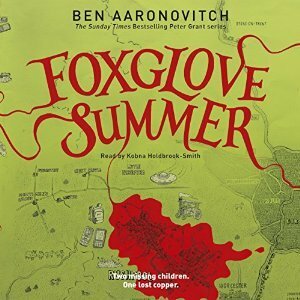 That's how I feel about Ben Aaronovitch's Peter Grant series. Peter is a bit young to be an old friend, so I think of him as a kid I've watched grow up. He's a police office who is also a wizard in training. I've just finished the fifth book and I'm ready to weep that I have to wait for the next one to become available. I've read some with my eyes, and listened to many as audiobooks. Kobna Holdbrook-Smith is Peter Grant to me! If you are a fan of mysteries, fantasy and like clever wit in your reading life, I highly recommend this series! 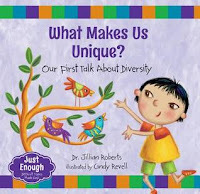 I have concerns when white author's write about black history, and it was only because Bahni Turpin narrated it, that I felt comfortable listening to this book. (Honestly, I will probably listen to Bahni Turpin narrate anything.) I find it difficult to read historical narratives of slavery, or any stories that highlight abuse and oppression. The better the writing the more I immerse myself in the characters and the more fearful I become. I had to take breaks in this one because of this. Information in the backmatter fills the reader in on the reality of communities living in The Deep Dismal Swamp. I'm trying to finish up a Netgalley title, The Mesmerist, by Roland Smith. I have discovered that I left my copy of Do Not Say We Have Nothing at our Oliver home. I'm listening to Bird by Bird: Some Instructions on Writing and Life by Anne Lamott. I've started Tank & Fizz: The Case of the Battling Bots by Liam O'Donnell and Mike Deas, another chocolate lily title. I'm listening to A Night Divided by Jennifer Nielson. 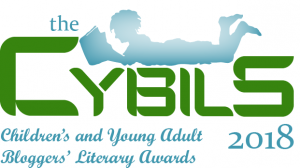 I've got to get started on History is All You Left Me by Adam Silvera and Flying Lessons & Other Stories because they are due at the library March 4th! I also need to read two novels from the chocolate lily box. I am also a fan of the Lunar Chronicals. I hadn't heard of your other choices for this week. Adding them to my TBR pile. Thanks for sharing! The Peter Grant series is the best of the best Stacy! My plan is to read my 60 books that come out in May before our spring break so that I can quilt! Nothing that elaborate, but it's good to do things other than reading occasionally! I quilt and listen to audiobooks so I combine the two activities! I don't usually do things like this either, but it's a wedding Quilt for my son and daughter in law who were married 18 months ago! Wow, so many books still, Cheriee, and each one sounds like a good read. I like survival stories so will probably look for The Skeleton Tree,. Your quilt is going to be fabulous! It looks very intricate. Have a great week! The Skeleton Key is very good. I read it wth my eyes while out walking home after getting off the bus! Looking forward to your thoughts on The Mesmerist. I noticed The Skeleton Tree is in our Scholastic orders, I bet readers of Hatchet would enjoy it. I think that hatchet readers would appreciate The Skeleton Tree. It's got some magical realism aspects, but they are minimal. Oh, how I love Ashley Spires! So exciting to have such a great local talent!! I know! We are so lucky to have here! 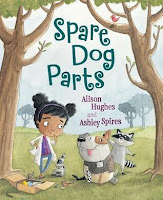 I have enjoyed books by Ashley Spires. I will have to look for these also. Missing Nimama and What Makes Us Unique look like some I will also want to grab. Thanks! 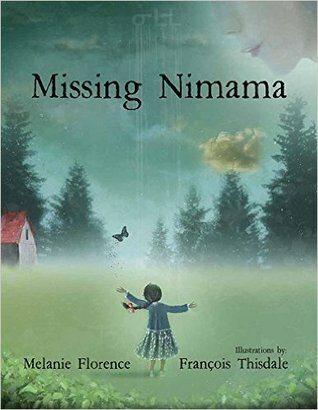 Missing Nimama is a hard read, but the other is delightful. Spare Dog Parts is very clever! I loved it. I'll have to check out the rest of the books on your list. I'll be anxious to see the finished quilt. I would love to learn how to make quilts some day! I tried to teach some one how to sew once. Sewing a straight line is harder than you might imagine. We love Ashley Spires! Thanks for telling us about Spare Dog Parts. Can't wait to read it. It's a gem of a book that reminds how all of us have value just the way we are. 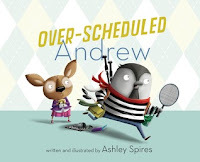 A new Ashley Spires book! I loved Most Magnificent Thing! 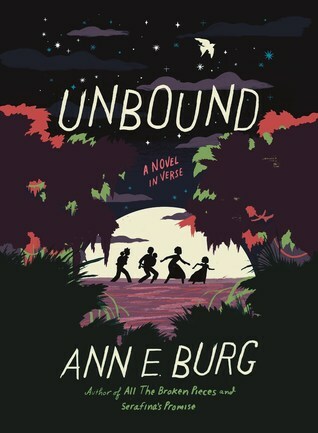 I couldn't tell--did you like Unbound? I love Burg's other books. I thought Grace was a fabulous character and Bahni Turpin captured her essence perfectly. 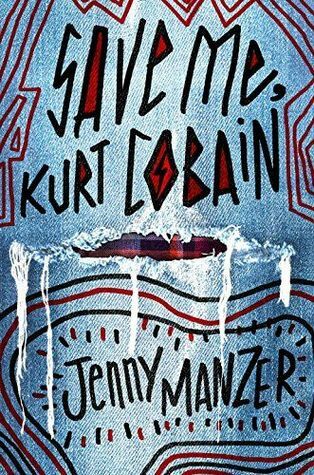 The writing was so powerful I had to stop listening at times. 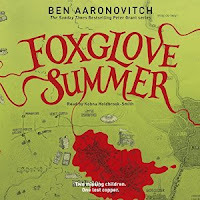 I've never heard of Ben Aaronivich's series, but it sounds like it just might fit my reading interests. I rarely read mysteries and decided I should expand my reading world a bit in that direction this year. Thanks for the recommendation! Oh Elisabeth, you must start reading this series! Everyone I've suggested it to who has started reading the series has loved it. It's just so much fun and pure joy to read and or listen to. Honestly, my younger self has a serious crush on Peter Grant! 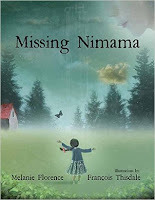 Missing Nimama sounds like a very very powerful book that I want to get my hands on. I just checked our online library database - we don't have it. Boo.